Add more choices and revenue to your program with a shooter and cocktail option. 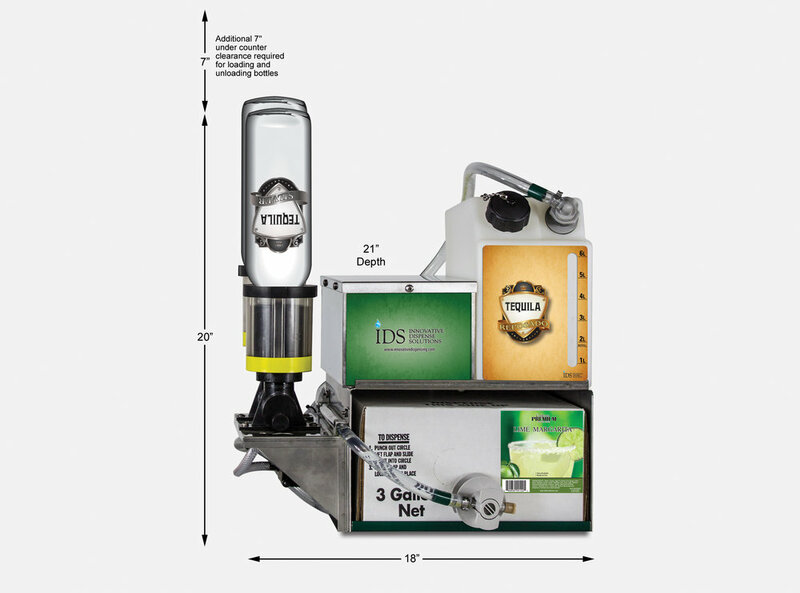 With ability to set to any desired ratio setting, this dispenser gives you maximum variety and control. Shooter bottle reserves accommodate 750ML, 1L & 1.75L bottles. • User-friendly: just load BIBs, spirits and GO!